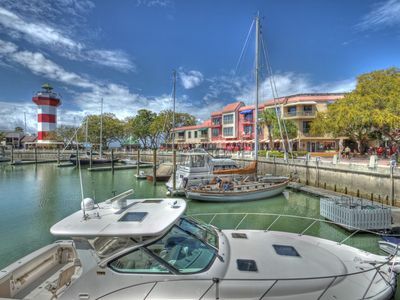 Welcome to our beautiful, 2 bedroom, 2 1/2 bath villa centrally located within easy walking distance of everything Harbour Town has to offer. 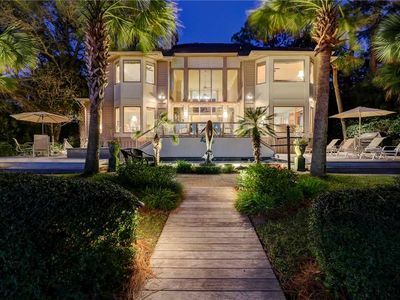 The villa overlooks a peaceful lagoon and is just a 2 minute walk to the world famous Harbour Town Golf Links, home of the PGA’s RBC Heritage Golf Tournament. 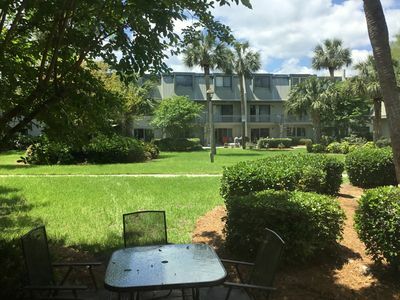 Walk 3 minutes to the Sea Pines Racquet Club and only 7 minutes to Harbour Town where you can eat, shop, rent boats, watch spectacular sunsets and catch the Sea Pines Trolley to the Sea Pines Beach Club, Sea Pines Center or South Beach Marina. 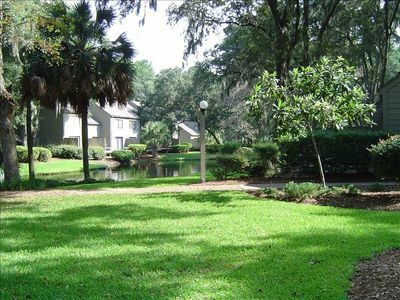 Heritage Villas is located on the Sea Pines bike trail which is known for its 20 miles of bike paths. 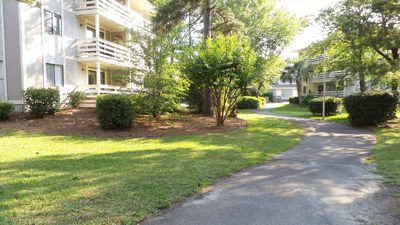 You can bike just about anywhere, including the Lawton Stables to enjoy horseback riding, or to the ocean. 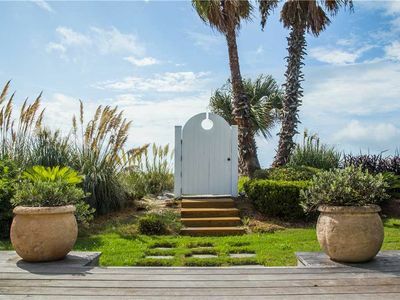 The ocean is only 1.5 miles from the villa and the enjoyable Heritage Pool, which is in a beautiful setting, is only a short walk away. 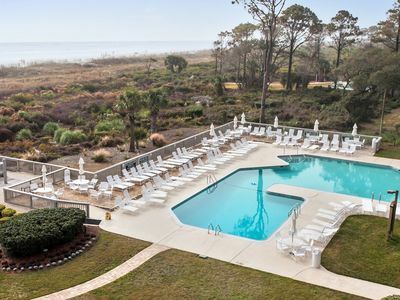 The Sea Pines Beach Club, rebuilt in 2015, offers a casual restaurant and bar overlooking the ocean and has a simply outstanding beach. 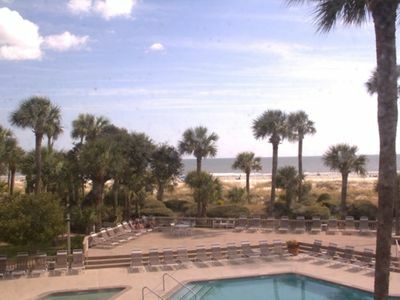 We have beach chairs, chaise lounges and a Weber charcoal grill which are free for you to use. 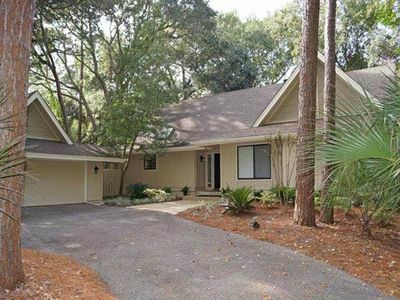 With approximately 1,600 sq. 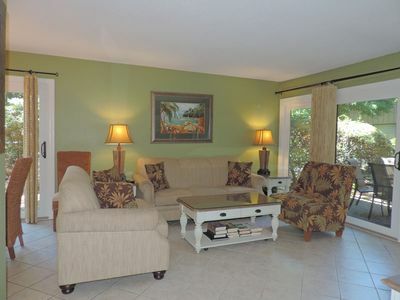 ft., our villa is one of the largest 2 bedroom villas in Sea Pines. 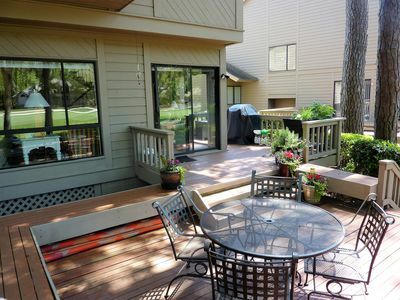 The large deck overlooks a beautiful lagoon with a gazebo. 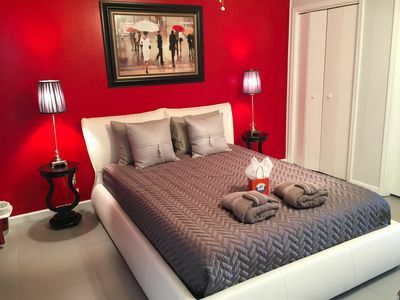 Updated on a regular basis, including new (2019) lower level flooring and newer (2018) sofa and kitchen cabinets, the villa features a king-size bed, ceiling fan and 32' 4K Smart TV in the master bedroom, and two twin beds, ceiling fan and 23' HD TV in the guest bedroom which has its own private bath. The dining area has a large table which can seat 6 people. The large master bathroom was remodeled a couple of years ago with new ceramic tile, granite counter-tops, vanity, light fixtures, faucets, mirrors, etc. 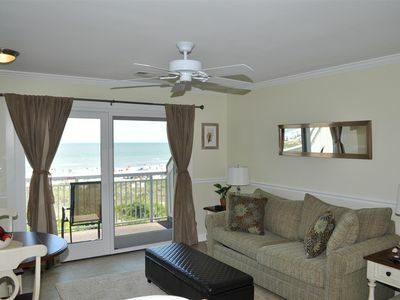 There is a dressing table in the master bath with a make-up mirror to help you get ready for any occasion or activity. 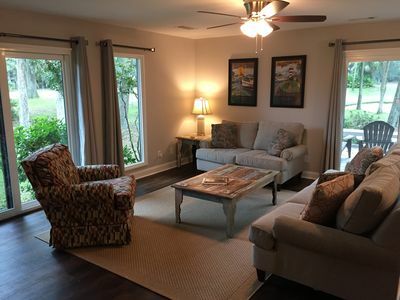 Luxury vinyl flooring (2019) is installed throughout the lower level. The kitchen features granite counter-tops, new cabinets and back-splash in 2018, microwave, range and refrigerator and all the accessories you will need. 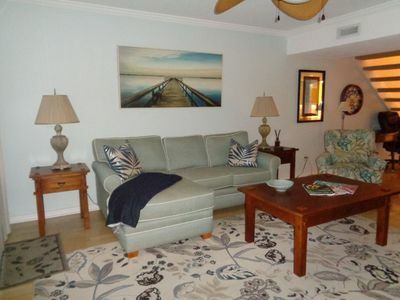 The living room boasts a newer sofa and a 42' HDTV and a Blu-Ray DVD player. 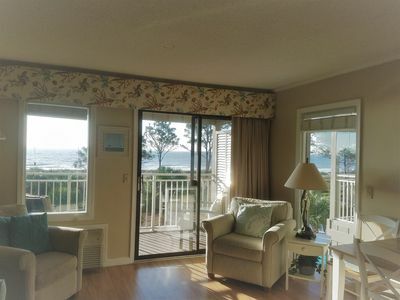 The villa also includes practically everything new including draperies, bedding and wood blinds providing for beautiful and luxurious accommodations during your stay in Hilton Head. The unit also has a washer and dryer. Parking is available at the front door. Free wireless internet! 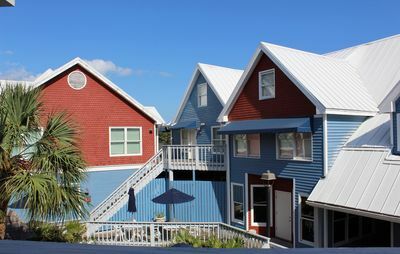 The entire Heritage Villas complex has recently been painted and updated with new light poles and lanterns installed throughout the complex; outdated railroad ties have been removed and replaced with new curbing; the bridge over the beautiful lagoon was recently redesigned and rebuilt; and the landscape improvement program has been completed at all three entrances, all villa buildings, pool area and common areas. 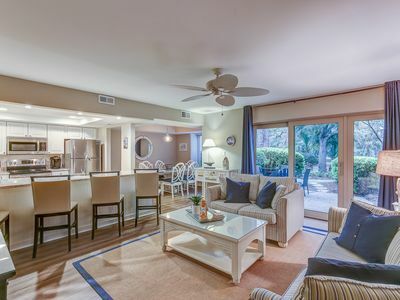 2235 Heritage Villas is a perfect vacation destination for anyone and leaves you with endless possibilities and activities to experience! Surf Court no minimum stay. Fiber optic WiFi/cable. 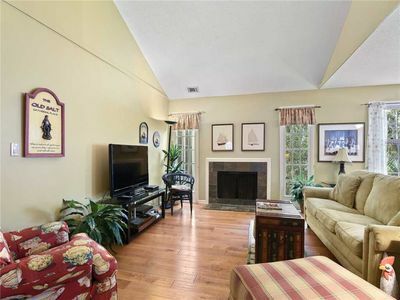 Newly remodeled & updated. 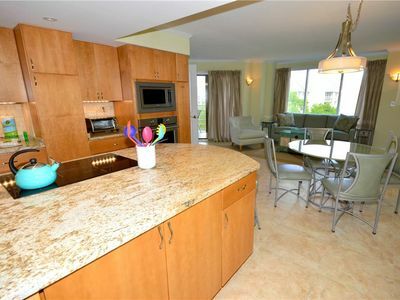 Gorgeous Chic & Modern Oceanview Condo! 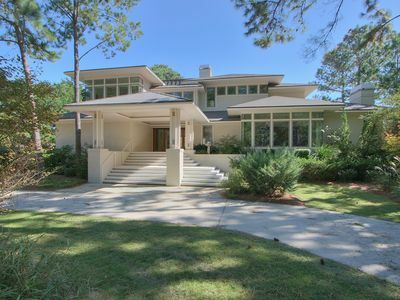 Stunning Six Bedroom Oceanfront Sea Pines Home with a Private Pool! !